Flying an aircraft with this type of engine needs care and attention to detail to ensure the safe operation of the whole aircraft. Usually, turbo-charged or super-charged engines are used on aircraft with a higher performance than you may be used to. Our differences training therefore includes some training aspects on handling that greater performance. Typically, the critical times for careful monitoring of this system is usually when the cockpit workload is highest (e.g. take-off or go-around). However, careful monitoring and management is required throughout all phases of flight to ensure engine longevity, and, more importantly, prevention of engine mismanagement that can lead to catastrophic failures. 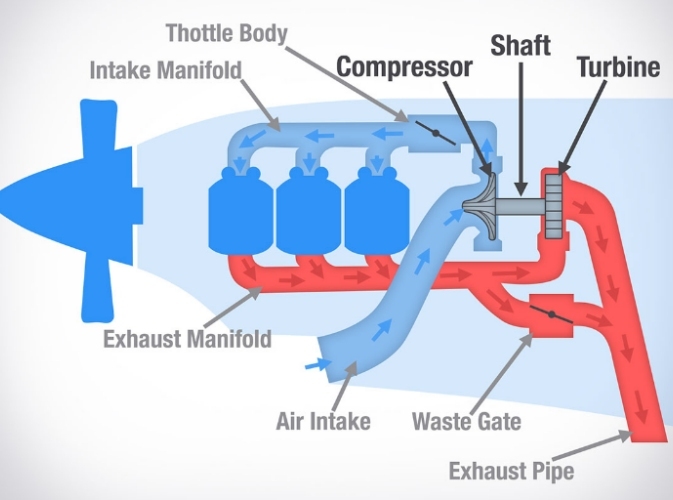 Consequently, we make sure you have understood the theory of both turbo and super charging, including the limitations of in-built fail-safe mechanisms, and the symptoms of failure and the actions to take. Typically, the conversion lasts around 2 to 3 hours to ensure you have grasped the different procedures (and performance where necessary). Although there is no legal minimum training time before sign-off, we will only certify your difference training once we are satisfied of your competence. Some people take more time, and some people take less! It's down to the individual concerned.